To make these I blended them in my Optimum 9400 from Froothie. 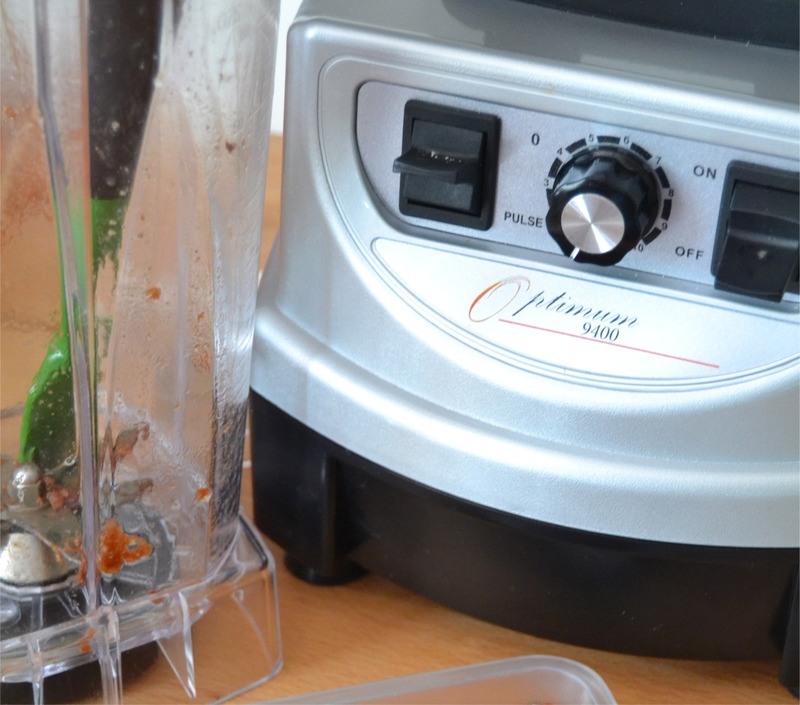 This is a blender, but no ordinary blender. As you can see, I had no fear of whizzing the ingredients up in the blender. They came together in a ball of tasty stickiness which I transferred to the fridge to set for a few hours. When they came out of the fridge, I rolled them into balls and then coated them in the coconut and let them chill again until ready to eat. The predominant flavour in these truffles is banana, with the mango and papaya subtly coming through in the background. Plus you get the coconut flavour on the outside. Check online if you struggle to get local stockists for your dried fruit. These are healthier than regular chocolaty truffles, but do remember they do contain a lot of sugars, albeit natural sugars. You are going to love these! Place all the ingredients except the desiccated coconut into a blender and whizz until all the ingredients come together in a sticky mass. Transfer the fruit to a plastic container lined with foil or greaseproof paper and flatten out as much as possible. Refrigerate for at least 3 hours, or up to overnight. Remove from the container and divide the fruit mass into 12. Roll each twelfth into a ball, using your hands then coat in the desiccated coconut. These sound amazing, that blender really is brilliant! I love seeing everything you've made with it. Cheers Kat - you really should invest - such a great kitchen tool! Mmm. All my favourite dried fruits! I love this idea. Thanks for sharing.